The color research is beginning to pay off. 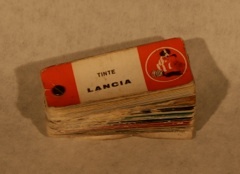 From Carter Hendricks comes a xerox of a 1990 article in an Italian magazine, which says: “ from work by Elvira Ruocco & others… who worked to transfer old Fiat, Lancia and Alfa paint color codes to current Lechler and other color codes.” So here are the 1990 Lechler codes for the Aurelias B20’s from that article (my transcribing, but their exact words!). There are some later corrections from Lechler in Italy from recent correspondence, indicated by ( ). One can assume the later numbers are more likely to be correct, but take care! 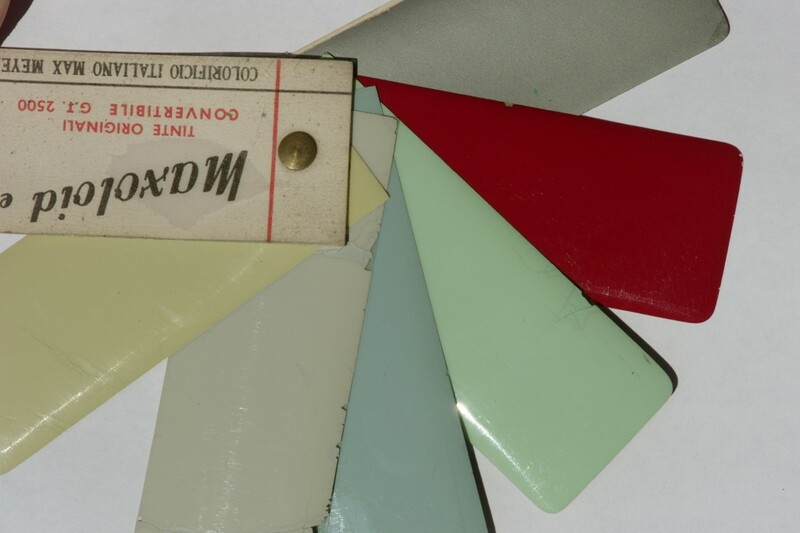 A Max Meyer colorwheel from the 1950’s lists some of these paints, but with older (no longer valid) numbers. In that wheel, the “Lancia Blue” is listed as MM # 1.272.7069, and is probably the same as the Blu above. 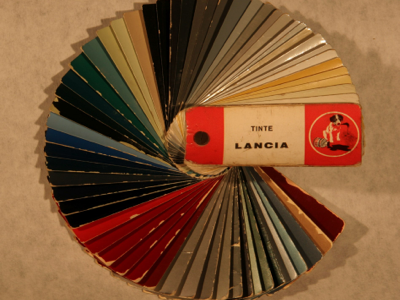 For other information on colors, such as Flavia colors and Fulvia colors (Lechler #’s and Lancia #’s) can be found in either Viva Lancia’s online library, or in: the Lancisti Community, look in their library and search for colors. Paul Mayo has also done quite a bit of work on colors. For Ardea and Appia colors – a detailed list of Max Meyer paints can be found in the book by Puttini & Fornai, published by Nada. A Max Meyer color wheel in England is shown below, but again numbers from MM are not translated to current paint codes. So its an interesting period piece, but of little direct help.